Soca valley in autumn gets more quite and pleasant. It can happen that you will have some natural attractions that are usually crowded in the summer time only for yourself. Do not let lower temperatures and shorter days prevent you from visiting Soca valley in autumn. 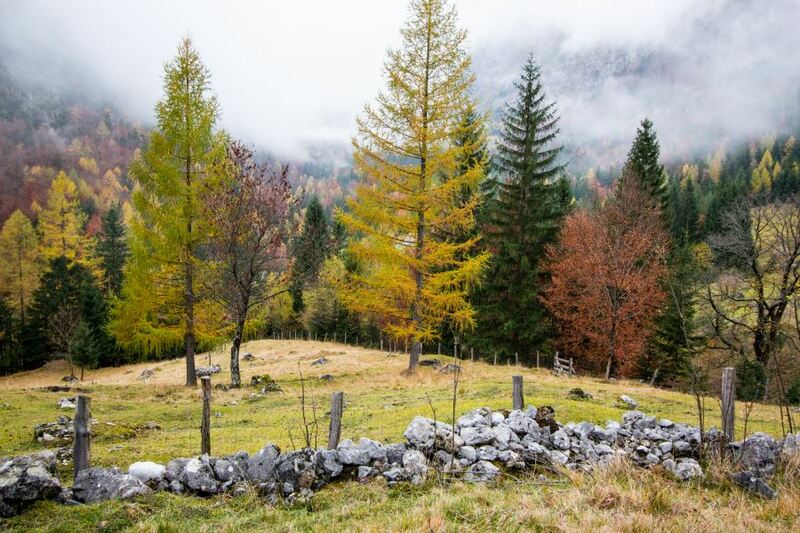 Soca valley in autumn … what to do and see? 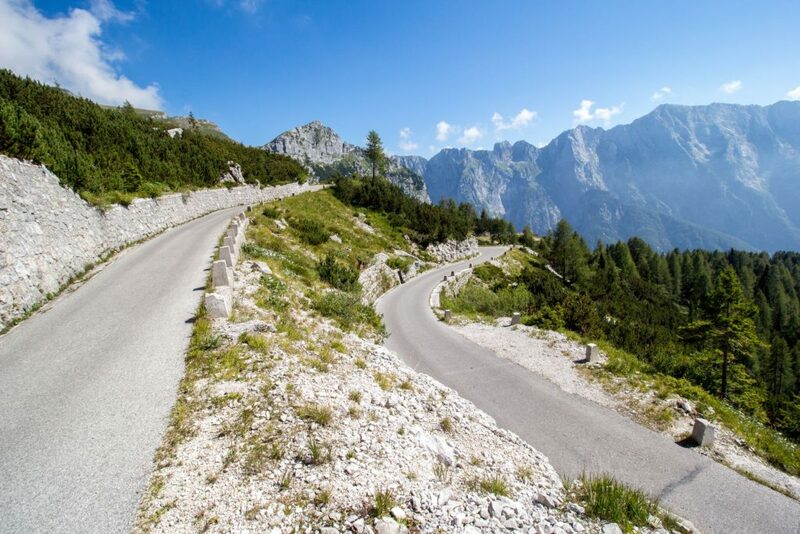 12 kilometers long zig-zag mountain road with 17 curves and 5 tunnels to Mangartsko sedlo (2055 meters) is the highest mountain road in Slovenia. At the beginning of the road you need to pay an eco-tax (5 EUR/car) but if you use a bike, it is free of charge. Well, the road is quite narrow 🙂 I mean NARROW!!! 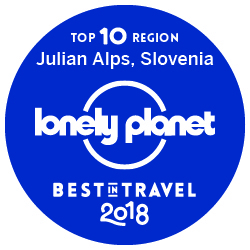 Did you know that mountain Mangart is the 4th highest mountain in Slovenia and one of the most picturesque mountain?! Apitourism is a fast growing branch of tourism. Slovenia is a paradise for bees and beekeeping plays an important role in our culture. 4 kilometers long Bavšica valley is a valley of peace. 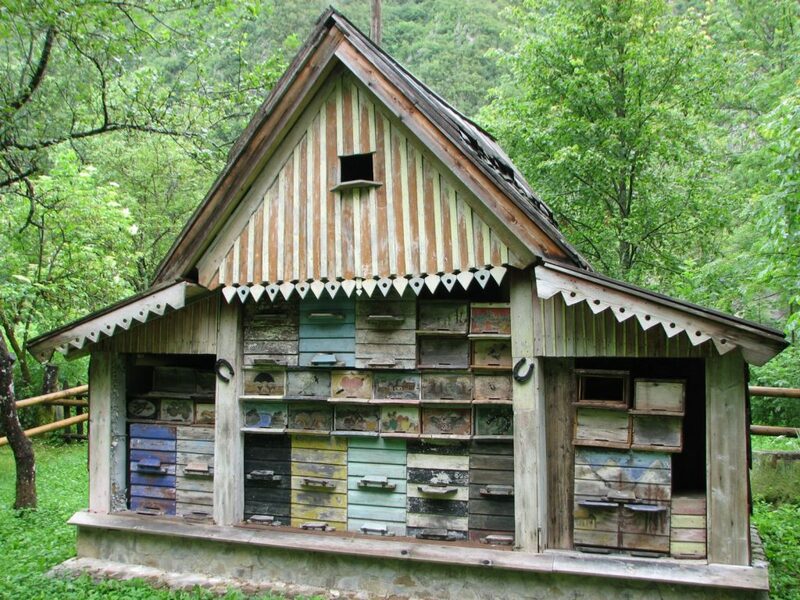 Here you will find Šunik creek, unique apiary with colorful beehive panels called panjske končnice. Want to learn more about bees and beekeeping? Join Bee Happy Experience here. This magical place at the outskirts of Tolmin town is very busy during the summer time due to many festivals. In the autumn/fall you will most probably have it only to yourself. If you can not find it, send me an email at vesna@slocally.com and I will send you GPS coordinates. Kobarid Museum which won the prestigious Council of Europe Museum Prize in 1993 displays exhibits connected to the events that occurred during WW1 on the Isonzo Front. 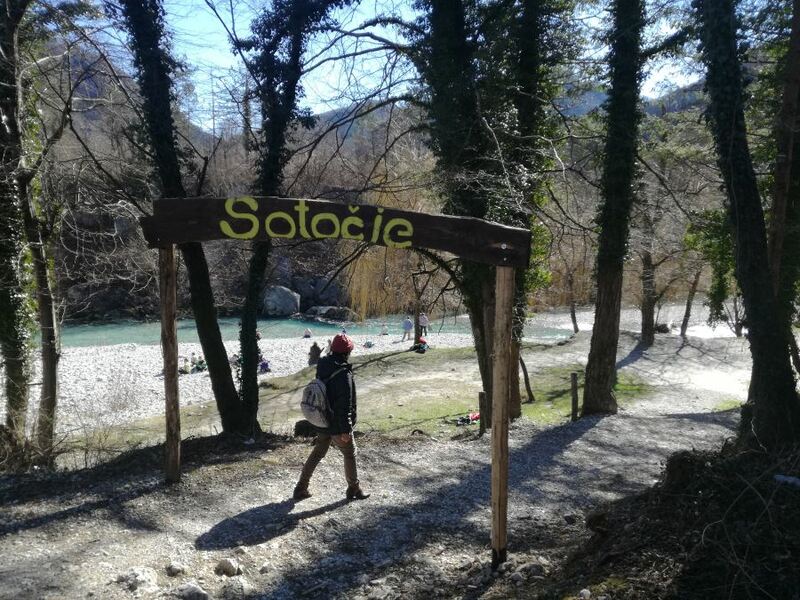 Its professional guides are organizing guided walks to various open air museums in Soca valley such as Zaprikaj, Kolovrat, Čelo, Ravelnik, Mrzli vrh, Mengore, Vodice, Sabotin and Prižnica. Visit Prižnica memorial park above the village Plave and stay at Herbal Rooms Homestay. 40 years ago the area of Breginjski kot was badly damaged by the earthquake. Take time and wander around Breginj old town. Later on ask the locals for the direction towards Robidišče. At Robidišče village where only 6 inhabitants live you can get a glimpse of the old times with black kitchen, stone houses and typical architecture. The air, the water, the nature here is unspoiled. Are you hungry? Eat at the local tourist farm. Walk town towards Napoleon bridge. There are some hidden places at Nadiža river where you can have natural pools only for yourself. Nadiža river is considered one of the warmest alpine rivers. The locals say that the river has a healing effect as well. Hiking Festival in Soca valley is one of the biggest festivals. 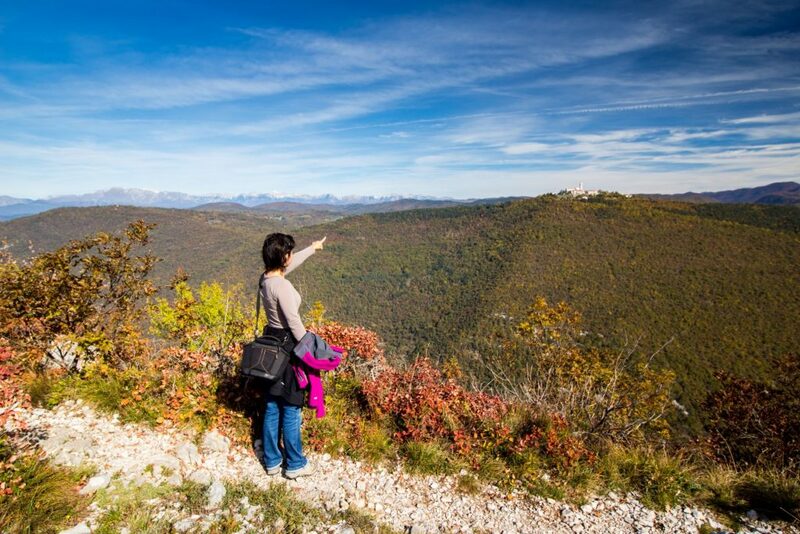 The Soča Valley Hiking Festival is held every year in September and October, the best hiking months. The festival offers many organized hiking trips which are suitable for families as well as for demanding mountain enthusiasts. Choose your hiking trip here. Jestival is a food and art festival that takes place in Kobarid. 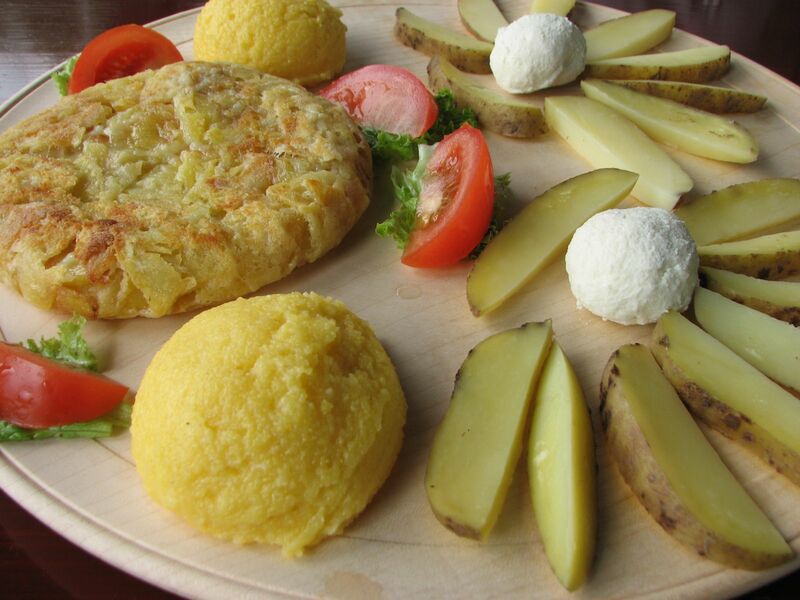 Indulge yourself in local cuisine and taste kobarid dumplings (kobariški štruklji) or join my Soca valley Food Tour.